1. Use a timer, either a kitchen timer or this online one ( www.online-stopwatch.com/countdown-timer/ ) for 5-30 minutes depending on how much time you have. I encourage people to start at 5 minutes and work their way up to more. 2. Use a good, fast moving pen. There is nothing worse than trying to write and find yourself with a pen that sputters. 3. Start the timer, put the pen to paper and begin. Once the pen goes down, the writing continues until the timer goes off. If in the middle of your free write, your brain suddenly goes blank, write “I don’t know what to write…” over and over until your brain kicks back in if only to stop the inaneness of repeating yourself. The words will come back. Trust the process. 4. Don’t stop to edit in the middle of the write. It drives your inner critic crazy not to be able to correct that word or sentence and is a good thing. Our inner critics have too much power over our words anyway. 5. When the timer goes off, I strongly recommend that you not go back and read what you’ve written right away. I believe the purpose of this type of writing is to wade through the junk that is usually clunking around in your brain clearing the way for whatever else you have in mind for that day. You can go back after a few weeks, when you’ve given yourself some space and read what you have written, if you must. For my first words of the day journal, I don’t go back and read them. Most of the time there is nothing in them that is helpful except to see how much I’ve grown. If if find an idea that strikes me, I tend to use in for my other daily habit – writing 500 words, but that is another post. Free writing cuts out the inner critic. Topics abound everywhere. I suggest beginning with how you are feeling at this moment or what you had for dinner last night. It is possible to begin creating lists of topics or finding them on-line. Try free writing with the same topic every day for the week and see where that leads your writing. This is a warm up, brain dump or any other word you’d like to call it and is not necessarily open for publication. My journal contains my private thoughts and normally isn’t fit for human consumption. Free writing is a good way to work through writers block. While I strongly encourage using a pen with paper, old school style, it is possible to use a computer. I would suggest trying both to see what works. Each way has its own benefits so don’t worry if one doesn’t work for you. This is an exercise that will help you grow both in your writing and personally. As the introduction to this venture, I decided to simply answer a few questions. With millions of blogs available, there are millions of ways to begin; there is no right or wrong way to do this. This is the beginning of my journey. I am just like you. I wake, go to work, pay bills, try to find a bit of peace in my life and I write. I write every day. When I was 6 and my first grade teacher told us that we were going to write a book I was beyond excited. I would have a book with my name on it. I loved to read and now wanted to create. Imagine my disappointment when I finally understood that I would have one single page in a book that she would keep. Since that moment I wanted to write and not just write, to write novels and have my name on one. Having written for nearly my entire life, sometimes seriously and sometimes not, I’ve finally decided that writing comes first. This process for me has been long and arduous but I feel the pieces have finally clicked into place. 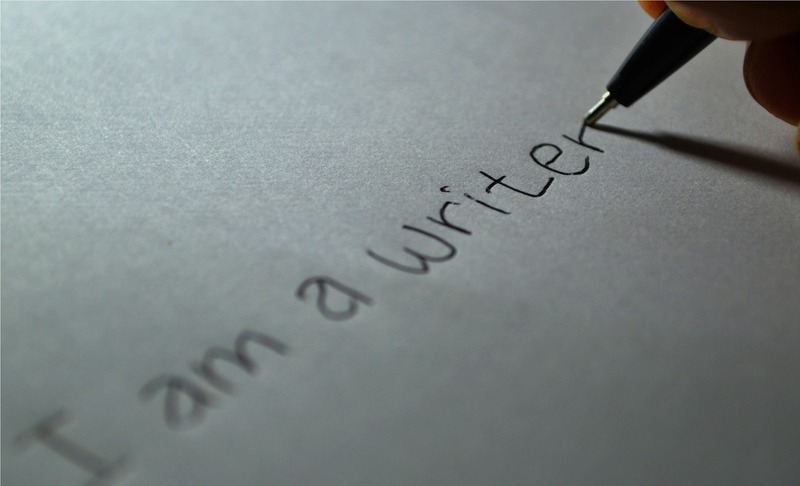 I am a writer. Not a wanna be, not a someday I’ll get around to that but the 5 am alarm now signals my brain that it is time to write. I’ve become Pavlov’s dog. Nice. This blog is, what I have come to believe, a natural next step in my writing process. You see, I wrote a book. I know, right? Crazy. But it was my first book and still needs a lot of work, I have dared to hope that publishing it would be a possibility. With publishing comes an online presence, hence a blog. As most writers can relate, writing for the world to see is a little like standing naked in front of the class bullies. It takes a lot of courage but then nothing would get published if we all stayed there. So this blog is a glimpse into my world, writing or otherwise. I’ve spent a lot of time thinking about what would work both for me and my readers. As this is an introduction to yet another writer, I’ve decided to attempt to offer something back. When I say I write everyday, I do mean it. I’ve decided my writing into two different areas, my journal and my other writing. This blog is my other writing. Most day’s my journal comes first. Its a warm up and a soul dumping exercise that clears the way for the rest of the words to come through. I will be speaking a lot about journals and journaling, including how it can help heal past hurts and help see the future more clearly. My hope is to present writing information that will be helpful, including reviews of other writers. I have a couple in the works with fantastic books. There is a ton of information out there on writing and though I hope to add to it, I am by no means an expert. This blog is simply my journey into my writing life. I will also be writing some random words. Insights into my life, new recipes and/or crafts, sunsets – just anything that I find interesting that I wish to share. I enjoy learning about other people’s lives and I hope you do too. It is not my idea to overwhelm my readers with mindless brain dumps and too much information. So not too many posts. Today is Friday, February 13th. Yes its Friday the 13th and I am beginning this new venture. I am only have a few superstitions and this isn’t one of them. In fact, I believe 13 to be a lucky number, attributed to 13 letters in my given name. The history of Friday, the 13th is long and difficult. Some say it began in the bible with the flood beginning on the 13th or the tower of Babal story. The earliest documentation of Friday the 13th being unlucky comes from 1307. That year, it happened to be in October, the order to round up the Templar knights and put them to death was signed by the king and carried out. Since then to our present day, the number 13 and Friday’s have been considered very bad. I have a firm belief in that what we believe and expect comes back to us. Which means in the light of this topic, that if I expect that beginning my blog on Friday the 13th is a good thing, that is what will come back to me. If I spend the entire week thinking that that I’m going to have a bad day on Friday because it is the 13th then that is probably going to happen. Where we think, there our lives will follow. Thanks for coming along on this journey. I am looking forward to see where this path goes.